Édouard Lalo; Ernest Reyer; Northwestern University (Evanston, Ill.). Music Library. General Manuscript Collection. Lalo, Édouard, -- 1823-1892 -- Correspondence. library.northwestern.edu Music Library General Manuscript Collection. Holograph, in brown ink, signed. 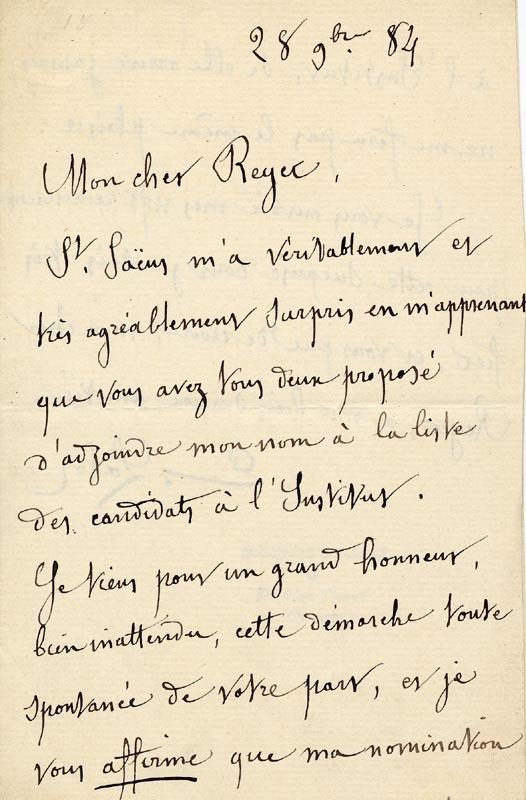 Add tags for "[Letter] 1884, September 28 [to] [E.] Reyer". Be the first. schema:contributor <http://viaf.org/viaf/159727363> ; # Northwestern University (Evanston, Ill.). Music Library. General Manuscript Collection. <http://viaf.org/viaf/159727363> # Northwestern University (Evanston, Ill.). Music Library. General Manuscript Collection.